Everything you eat leads to eventual potential energy. Sometimes you need that energy in a hurry. Carbohydrates can help, and whole grains are the best way to go. Whole grains have gotten a bad reputation in the era of carb-hate, paleo dogma, and gluten-phobia. But when you need energy to power a workout, or keep you sane during a cut, whole grains sometimes can be a saving grace. They should be a part of most diet plans. Keto or paleo approaches eliminate whole grains, but when used correctly, these ancient crops supply workout fuel and act as agents for recovery. You say grains are bland, but we counter with these six simple recipes. They harvest the flavors of the plains with little kicks of fruit, vegetables, and a little protein here and there. 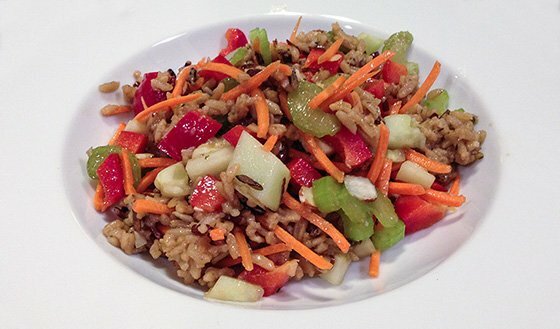 Get creative in the kitchen and find ways to boost the flavor of whole grains to make them more appealing. These six recipes build a framework for your future cooking with grains. Stuffing has been sadly typecast as a winter holiday side dish. Erroneous! 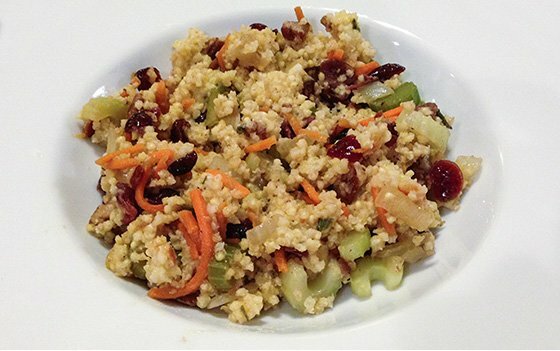 Full of fiber and flavor, this recipe will draw few complaints on your table. You're sure to see those Christmas-morning smiles—in July. 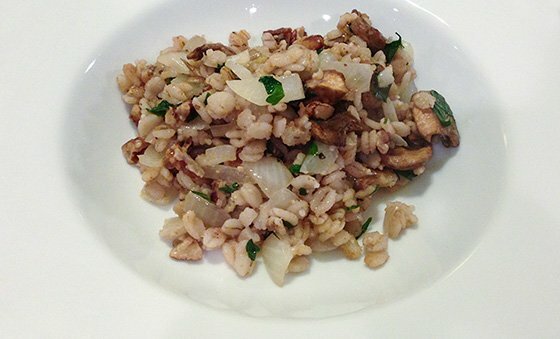 Any time your diet needs a complex carb boost, mix this up! Brown rice wins big in the great battle for health in the modern world. In a pick-up lunch game, it should never be picked last! But the salad game is a team effort. Peppers, celery, seeds, and oils add flavor to this easy-to-create dish. This salad can be served warm or cold, creating plenty of convenient options to satisfy your taste buds. Simplicity is important in any meal plan, but especially in a salad. People tend to throw in any green thing. Make choices that optimize flavor. This green pepper salad is a light and refreshing addition to any meal. Serve it hot or cold. Add more vegetables if you like—just remember that the calories can add up. Barley is one of those forgotten whole grains in the maddening dash for fast food. Simply put, some good food takes a little time to prep. 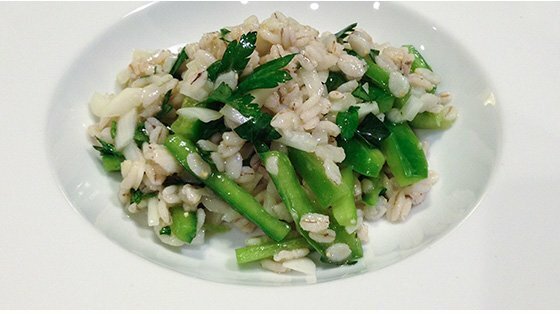 This fine barley dish fits alongside a main chicken or beef entree with a side salad to make a complete meal. 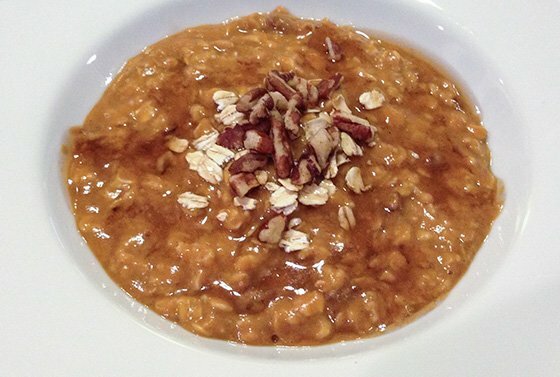 The pecans are a pleasant surprise and add healthy fat content to this simple side. 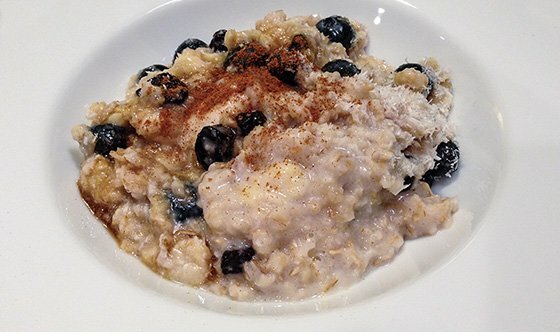 Oatmeal is perhaps the best-accepted of the grains in the bodybuilding and fitness community. Start your day with this recipe and stay smiling and strong all day! It contains healthy carbs for energy, and the coconut adds a healthy fat. You also get ample protein from the milk and protein powder. Enjoy your breakfast and the rest of the day will come easy! Thank Canada for this little miracle in a bowl. This recipe will help you reconnect to autumnal memories but it can be eaten any time of the year. You love the taste of pumpkin, so why let November keep it to itself? Pumpkin provides old-fashioned flavor with an excellent low calorie structure.